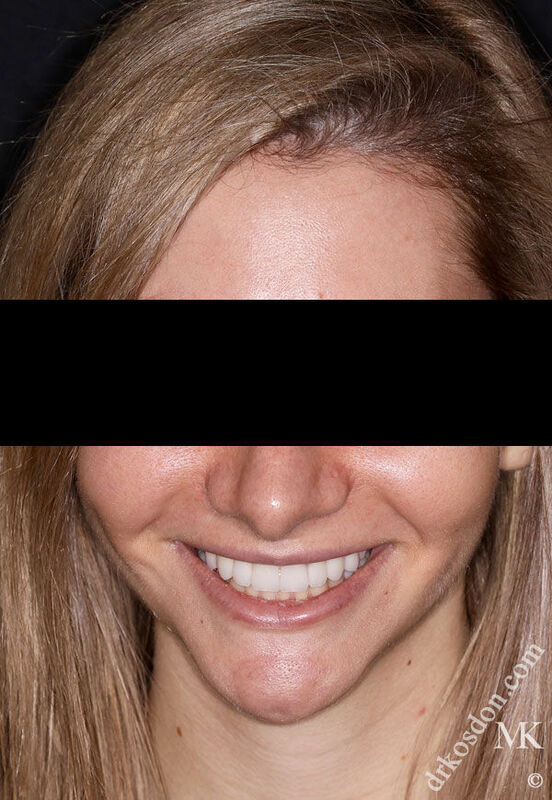 Can Porcelain Veneers Fix the Appearance of Short Teeth? 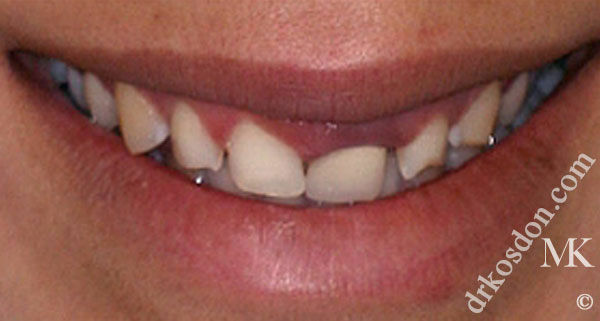 Short teeth can create the appearance of an irregular, disproportionate, or imbalanced-looking smile. 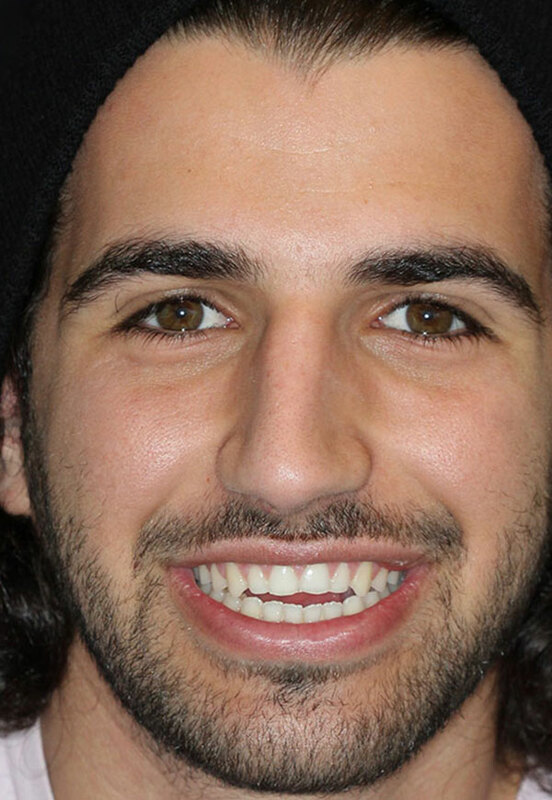 Cosmetic dentist Michael Kosdon, DDS frequently uses custom-designed porcelain veneers to lengthen short or worn teeth for improved smile aesthetics. Whether patients have one, a few, or an entire smile of short teeth, porcelain veneers can provide a beautiful, long-lasting solution. 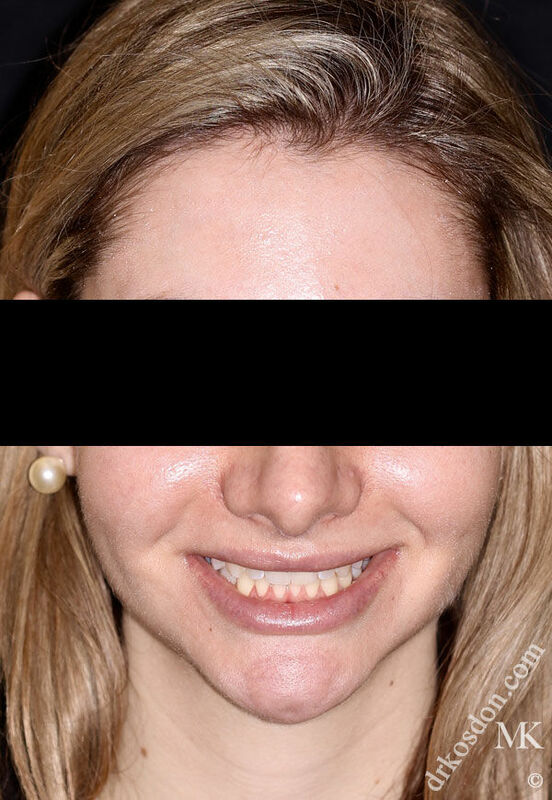 The key to Dr. Kosdon’s success with porcelain veneers lies in his comprehensive smile evaluation and design process, which precisely analyzes patients’ needs and goals to help him develop unique porcelain veneers treatment plans. 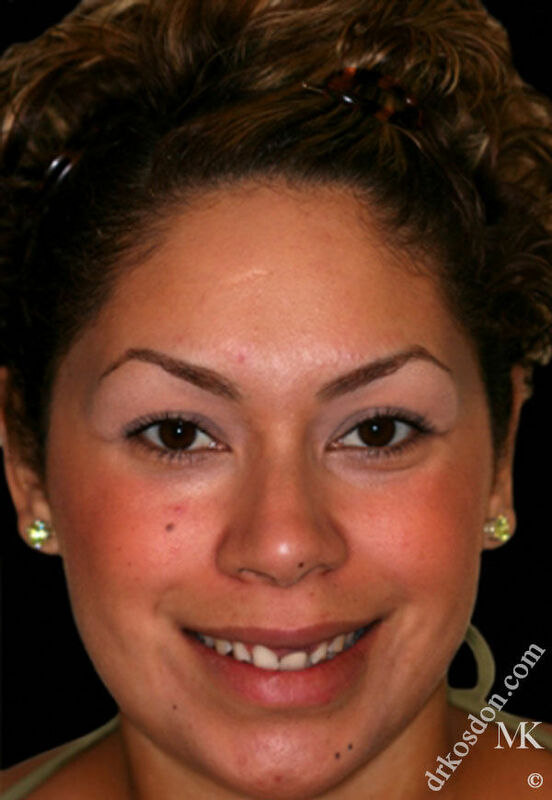 His smile designs incorporate the style, personality, lifestyle, and desires of each patient, while aligning with the aesthetic guidelines of the Golden Proportion. 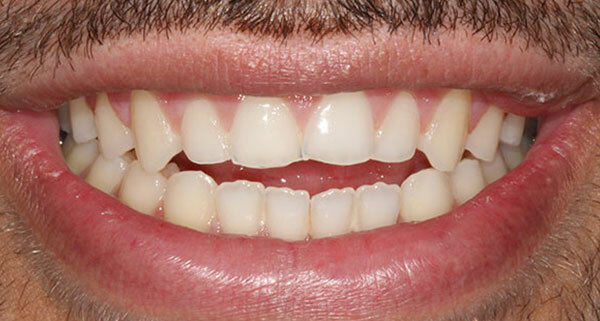 The goal is to create longer teeth that achieve an optimal gum to tooth ratio and smile symmetry. Some treatment plans for short teeth also include gum recontouring, which removes excess gingival tissue to reveal more of the tooth body for a lengthened appearance. 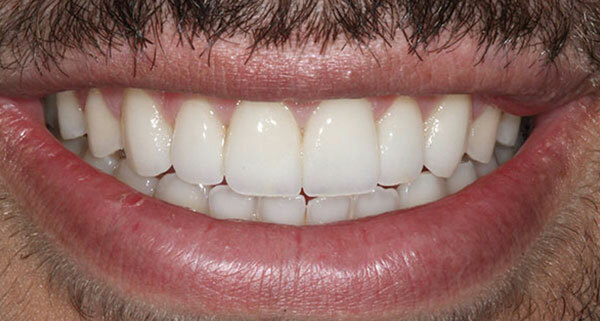 The porcelain veneers that Dr. Kosdon prefers to use are thin shells of high-quality ceramic material. The veneers are bonded to the front side of each tooth to change their apparent length, size, shape, color, and alignment. 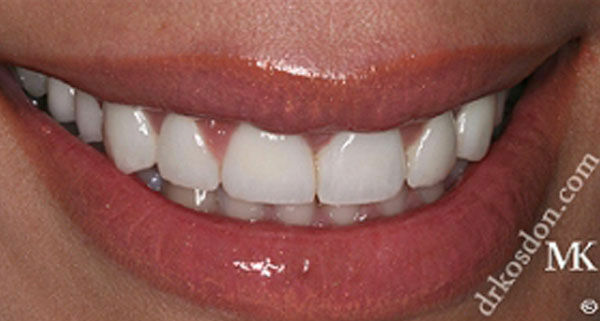 Often patients seeking to improve the appearance of small or short teeth are good candidates for minimal-prep veneers, which require that only a small amount of tooth enamel be removed to accommodate the veneer. 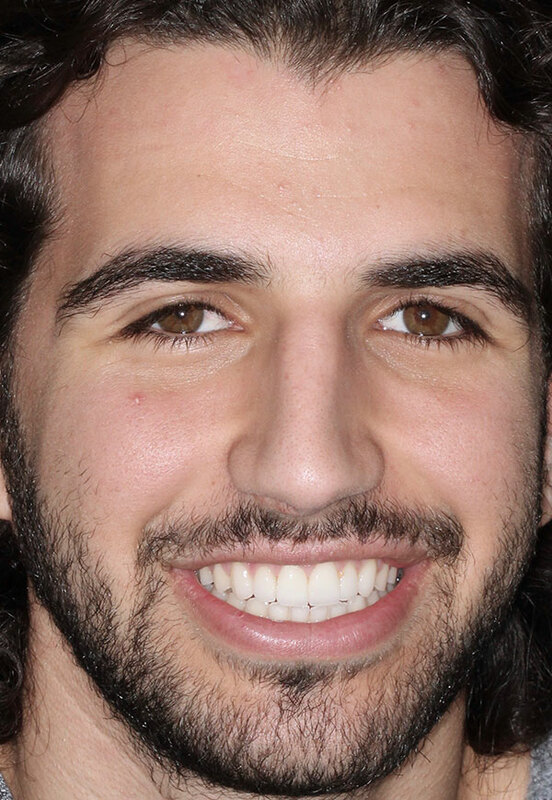 In instances where a patient’s teeth have been broken or are badly damaged by severe wear, Dr. Kosdon may instead propose restoring teeth with custom porcelain crowns that can provide more protection and strength for compromised teeth. Do you want to find out how easy it is to achieve the smile of your dreams? We welcome you to contact our practice to schedule your personal consultation with Dr. Kosdon. « Do My Front Teeth Need New Fillings or Porcelain Crowns?